Don’t be quick to judge gamers who spend hours on end in front of their computers. What most people consider a pastime activity can turn into something profitable, big time. 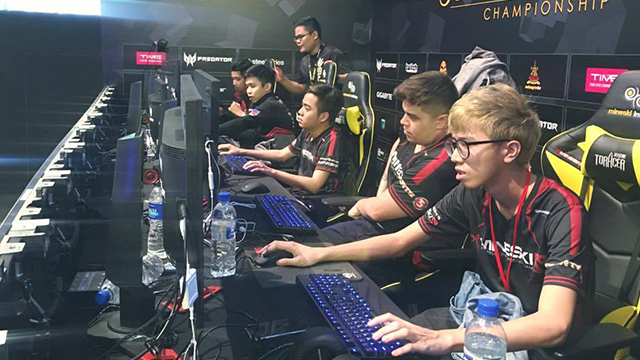 Philippine professional gamers are steadily gaining their place in the worldwide stage after winning several international competitions that brought pride to the country. 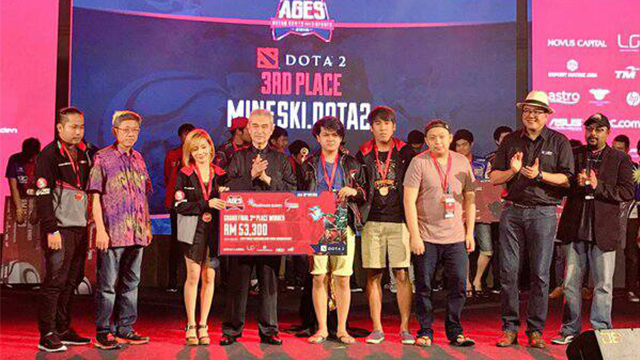 One of these teams is Mineski, which has competed in gaming tournaments both here and abroad. 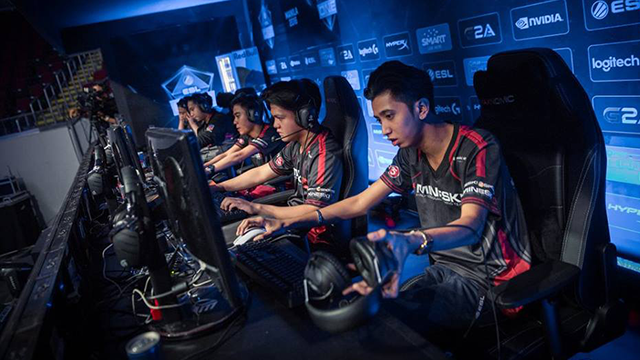 Most recently, they were hailed as champions in the Asian Gaming Community SEA Tournament 2016 and International e-Sports Federation Champions 2016. 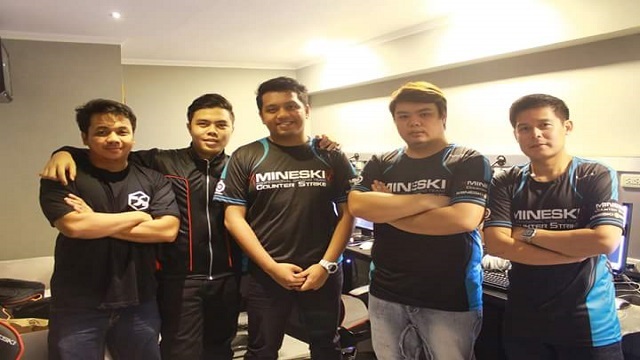 Counter Strike: Gaming Offensive (CS:GO) captain Dominic Fajardo, also known as Mineski Captain Hannibal, explains that being a gamer is not as simple as it may seem. “Being a professional gamer takes a lot of hard work. You rely on tournaments’ cash prizes to boost your earnings,” Dominic said. Dominic got started on gaming when he was just six. He started playing their family computer and got hooked on games like Tetris. He moved on to more sophisticated games when he got older. Back then, he didn’t think that he could be a professional gamer. “I was just really addicted to games like Dota, League of Legends (LoL) and CS:GO, but I did know that I had raw skill in first person shooter (FPS) games. I found out that my skill was above average when I started playing CS:GO,” he recounts. He was discovered back then by Team 5peaks, another pro gaming group. 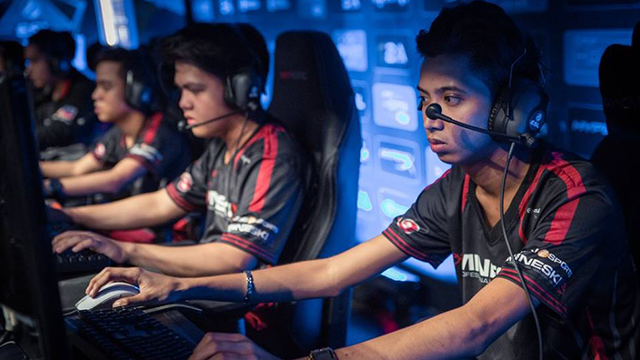 He said that he didn’t practice as often as he would practice now that he is in Mineski. He said that he used to practice five hours a day, three times a week. He honed different skills but he retired for a while because of the lack of tournaments. There was also a time when he lost a tournament and this was a turning point in his life as a professional gamer. “That night we lost that tournament, I told myself I never want to lose again,” he said. That’s when he built a team called Kingsmen comprised of people who all share the dream of achieving global skill and recognition in Counter Strike. “As Marco Pierre White said, ‘If you have a dream, you have a responsibility to yourself to make it come true. Because if you don't, then you're just a dreamer’” he said. Their team has players with different skill levels and attitude but Dominic is happy that they treat one another like brothers, inside and outside the game. Since they were founded in 2015, the team never lost a local tournament. Their team is also lucky to have sponsored boot camps, where they get to meet other professional players from different teams. Dominic said that aside from the privilege of meeting like-minded people, they also get free gears from gadget brands like Steelseries. Of course, being a professional gamer can be financially rewarding at times. Dominic explains that you can earn by joining tournaments, selling items and letting people watch you on a site called Twitch. “Your earnings in each of this methods depends on how hard you work on it. If you join big tournaments, then you get big cash. My teammate Bryan* earned around Php 700,000 in trading and selling items and he still has items on his inventory!” he said. 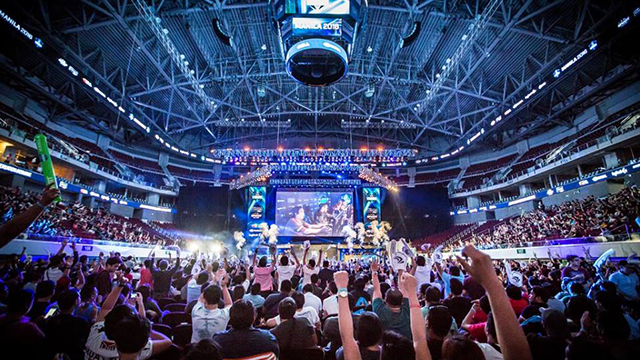 “I don't know if streaming is going to be a thing here in [the] Philippines, but it's obviously a gold mine for global pro gamers,” he added. Andrew*, another gamer who works as an IT consultant, has been immersed with online gaming since he was 13. He used to play from four to six hours if he had classes or work, and around eight to 12 hours if he has no class or work. He does not consider himself a professional gamer but he regularly watches online or e-sports tournaments for games like League of Legends, Hearthstone, etc. He also regularly visits gaming forums. “Based on the comments, winnings are as much as US$ 52 million per tournament!” he shares. He shared that professional gaming brands or sponsors even put up “gaming houses” where their pro players can live and practice without any distractions. They even have coaches, analysts and psychologist in the gaming houses so the players can play or sort out their problems effectively. “In the USA, for the game League of Legends, they have a regular season of games like NBA and players are usually paid US$ 25,000 per season and the highest amount of contract for a player is US$ 1 million per year,” he said. In addition esports is considered as a sport in the US, so foreigners can apply for sports visas to play in the US, he added. Like Dominic, he recognizes the potential to earn via online streaming of games. He said that he also uses the online streaming platform Twitch by applying as a Twitch partner. By being a Twitch partner, you simply play ads as you video or stream yourself playing the game. It is similar to watching a TV show with ads appearing. Viewers can also subscribe to your channel for US$ 5 a month. However, only well-known players make big money out of streaming, so if a gamer wants to make “sure money,” some of the methods he suggests is by selling, trading items and gambling. “The main earnings I got from gaming is [from] selling online items and selling high level accounts. To do this, you need to know what items are the most in demand or the best items in the game. Sometimes, it depends on the game, as some item prices are as much as Php 5,000 and maximum leveled accounts with items go up to Php 20,000,” he shared. He has been doing this for five years and in a day, he regularly earns an extra Php 500 to Php 2,000 for his rate as a non-professional gamer. “Selling online items is actually very hard since grinding for rare items sometimes take days and sometimes drop rates are so low you don't get anything. You also need to consider [that] rare items’ prices also drop [and] it depends on the demand of the item, so you need to be aware of the market of the game to do this effectively,” he added. He shared that another challenge for selling online items is looking for buyers since there are scammers. You need to be extra careful with your transactions. As for gambling, he shares that “pustahan” is common in computer shops. For games like Dota and League of Legends, teams of five face off and viewers in the shop place their bets. The winner takes all the money. “Sometimes they even have a referee or casa which holds all the money and gives it to the winner,” he recalls. Gaming, while it is considered a pastime activity by many, is actually not all fun and games. “For playing professionally, it is actually very hard. Players spend eight to 12 hours a day on training, and sometimes, they have no rest days since players get swapped out very fast if you slack off,” Andrew said. Andrew suggests that you have to be fully committed when you want to get into gaming. “You have to train, even on your free time,” he said, while mentioning that some people made it a full-time job that pays. Dominic’s advice is not to hesitate getting into matches with pro players because it can be a way to develop your skills.